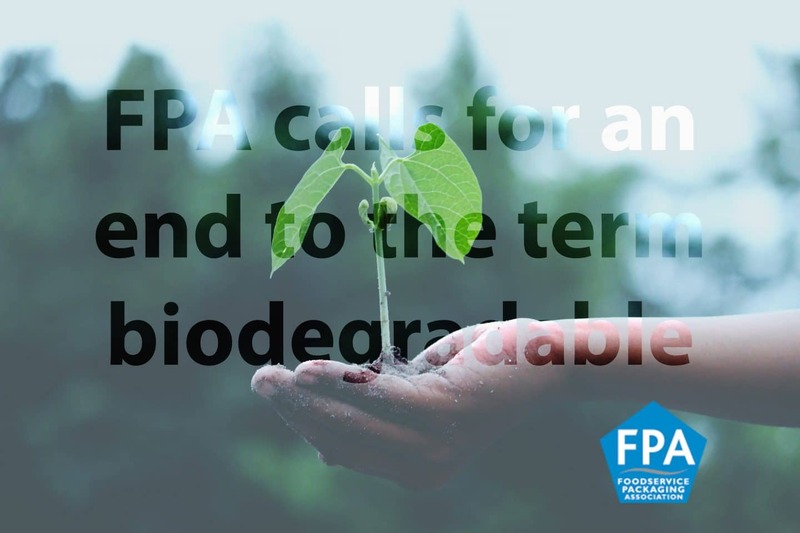 Following soundings with the UK packaging sector, non-government organisations and litter charities, the Foodservice Packaging Association is calling for an end to the description ’biodegradable’ in reference to packaging. Using the term biodegradable has led many to believe that, no matter where disposed, so called biodegradable packaging will disappear to nothing within a very short period. This is misleading for the public, many of which erroneously believe it is acceptable to litter biodegradable packaging. This in turn in is leading to confusion about compostables which require appropriate end of life treatment and are certainly not acceptable as land or marine litter. This latter point has been communicated clearly by the compostable packaging sector. A recent Westminster Hall debate highlighted the confusion with some of the MPs taking part freely interchanging the terms biodegradable and compostable as if they were the same. Therefore, Foodservice Packaging Association are asking the packaging sector and its customers to end the confusion and reduce littering by ceasing the use of biodegradable as a description. Six months ago, the Foodservice Packaging Association formed a working group including waste management and anaerobic digestion (AD) experts with the task of helping to develop the much needed UK compostable packaging infrastructure and to analyse research and evidence to ensure all claims made by such packaging are factually accurate. The FPA’s code of practice requires all claims made by members to be supported by evidence as a condition of membership.